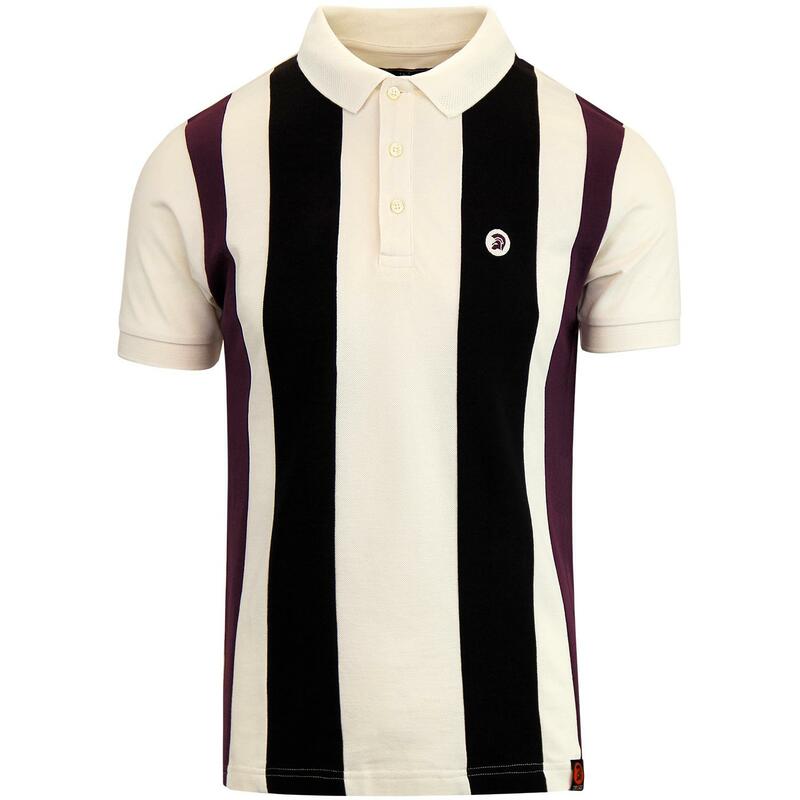 With two-tone vertical stripes in contrasting black and rich plum purple, this Trojan Records cut and sew stripe pique polo will add a retro colour block pop to your wardrobe. 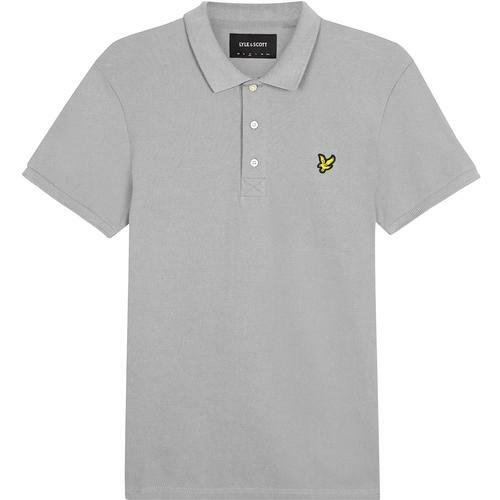 Made from Pique cotton the smart mod collar features subtle waffle texture detail to the outer edge and three tonal buttons along the placket. These stylish, understated details allow the dramatic front panel of bold 60s stripes to take centre stage. Rounding up this retro feast for the eyes is the iconic Trojan branding. 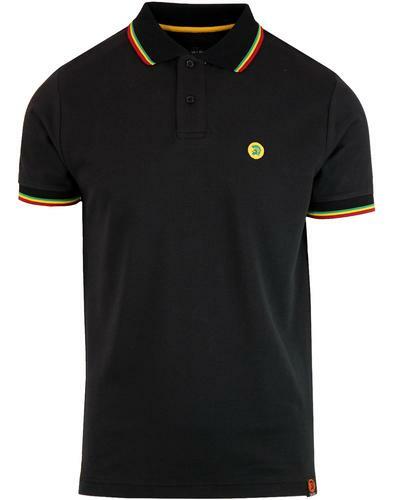 To the left of the chest is the embroidered Trojan helmet — Unmistakable 60's ska style from Trojan Records . 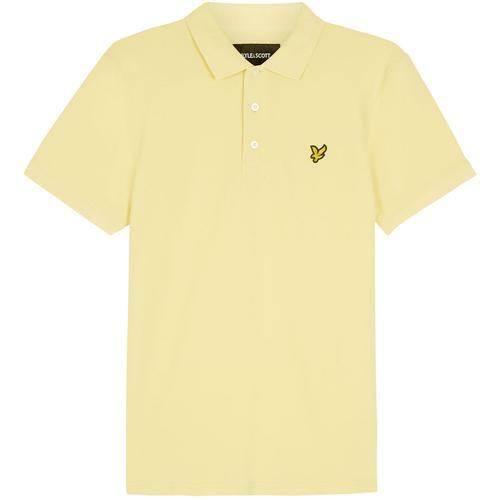 - Trojan Records men's cut and sew strip pique polo shirt in Ecru. 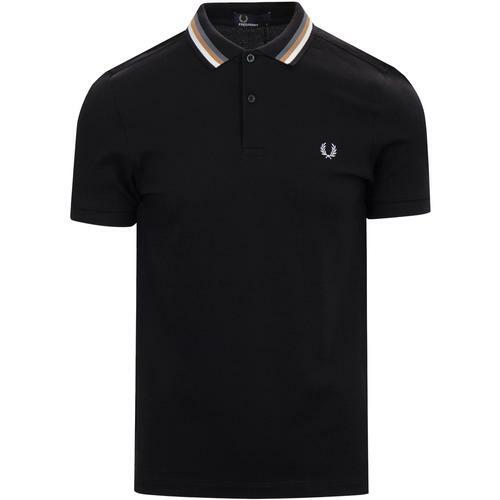 - Classic three button placket with tonal buttons. - Trojan helmet embroidered to chest. - Waffle texture detail to ribbed collar. - Woven branded label to hem.